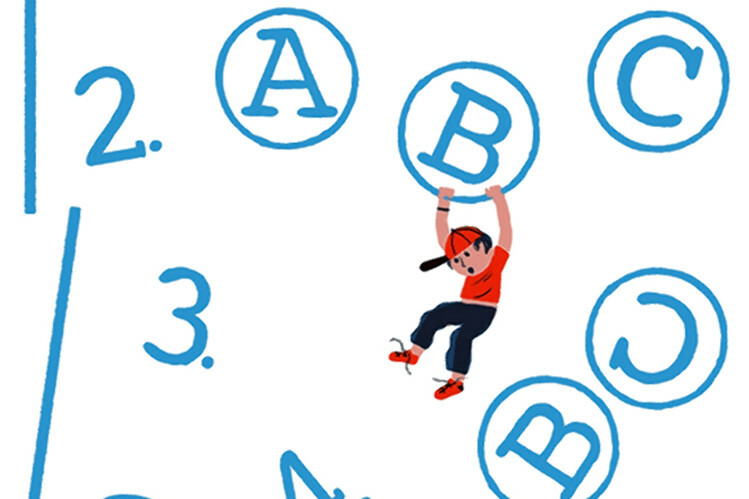 Are Schools Asking to Drug Kids for Better Test Scores? In the past two decades, the number of children diagnosed with Attention Deficit Hyperactivity Disorder has nearly doubled. One in five American boys receives a diagnosis by age 17. More than 70% of those who are diagnosed—millions of children—are prescribed drugs. A new book, “The ADHD Explosion” by Stephen Hinshaw and Richard Scheffler, looks at this extraordinary increase. What’s the explanation? Some rise in environmental toxins? Worse parenting? Better detection? Drs. Hinshaw and Scheffler—both of them at the University of California, Berkeley, my university—present some striking evidence that the answer lies, at least partly, in changes in educational policy. Many people have suspected that there is a relationship between the explosion in ADHD diagnoses and the push by many states, over this same period, to evaluate schools and teachers based on test scores. But how could you tell? It could just be a coincidence that ADHD diagnoses and high-stakes testing have both increased so dramatically. Drs. Hinshaw and Scheffler used a kind of “natural experiment.” Different parts of the country introduced new educational policies at different times. The researchers looked at the relationship between when a state introduced the policies and the rate of ADHD diagnoses. They found that right after the policies were introduced, the diagnoses increased dramatically. Moreover, the rise was particularly sharp for poor children in public schools. The authors suggest that when schools are under pressure to produce high test scores, they become motivated, consciously or unconsciously, to encourage ADHD diagnoses—either because the drugs allow low-performing children to score better or because ADHD diagnoses can be used to exclude children from testing. They didn’t see comparable increases in places where the law kept school personnel from recommending ADHD medication to parents. These results have implications for the whole way we think about ADHD. We think we know the difference between a disease and a social problem. A disease happens when a body breaks or is invaded by viruses or bacteria. You give patients the right treatment, and they are cured. A social problem—poverty, illiteracy, crime—happens when institutions fail, when instead of helping people to thrive they make them miserable. Much debate over ADHD has focused on whether it is a disease or a problem, “biological” or “social.” But the research suggests that these are the wrong categories. Instead, it seems there is a biological continuum among children. Some have no trouble achieving even “unnatural” levels of highly focused attention, others find it nearly impossible to focus attention at all, and most are somewhere in between. That variation didn’t matter much when we were hunters or farmers. But in our society, it matters terrifically. School is more essential for success, and a particular kind of highly focused attention is more essential for school. The number of children diagnosed with ADHD has doubled in the past two decades, and some say the reason lies in educational policy. University of California Berkeley Psychology Professor Alison Gopnik joins Lunch Break to discuss. Photo: Getty. Stimulant drugs don’t “cure” a disease called ADHD, the way that antibiotics cure pneumonia. Instead, they seem to shift attentional abilities along that continuum. They make everybody focus better, though sometimes with serious costs. For children at the far end of the continuum, the drugs may help make the difference between success and failure, or even life and death. 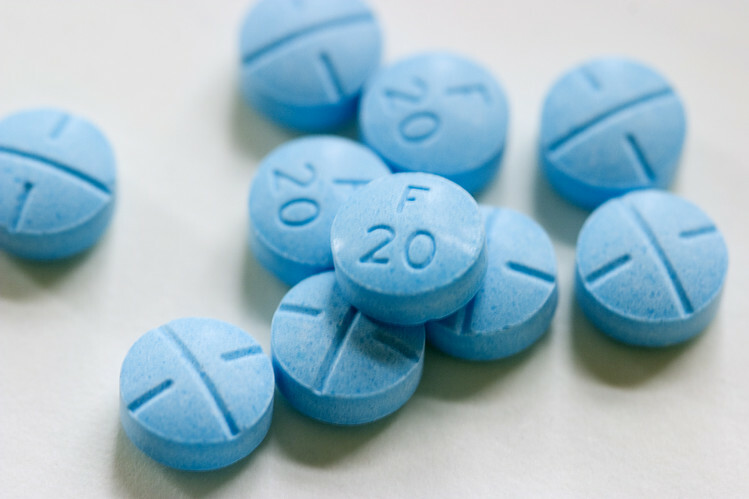 But the drugs also lead to more focused attention, even in the elite college students who pop Adderall before an exam, risking substance abuse in the mad pursuit of even better grades. Do you take Adderall or Ritalin to deal with your inability to concentrate? Do you often proclaim that you, or your child perhaps, can’t sit still? You can’t concentrate or focus on tasks? Have you been diagnosed with ADHD? Well a new book written by neurologist Richard Saul is something you might want to pay your scant attention to. The new book is titled “ADHD Does Not Exist: The Truth About Attention Deficit and Hyperactivity Disorder” and it’s likely to cause some people to actually pay attention. After his long career of treating patients, many self diagnosed, with short attention spans, Saul believes that ADHD is actually a collection of symptoms, not a disease. He doesn’t believe that it should be listed in the American Psychiatric Association’s Diagnostic and Statistical Manual. Saul says that patients show up at the doctor’s office with their own ADHD diagnoses because everyone is talking about it and because they want drugs like Adderall and Ritalin. But he believes that’s dangerous because these drugs are stimulants for which people can develop a tolerance and eventually addiction. ADHD first came about in 1980 and diagnoses have skyrocketed since then from 7.8 percent in 2003 to 9.5% in 2007 and to 11% in 2011. Basically one in nine children and two thirds of them are boys. Saul told the tale to the New York Post of a girl who was being treated fro ADHD because she was being disruptive in class due to not being able to see the blackboard. Apparently all she needed was glasses, not drugs. Ever since President Nixon proclaimed the start of a War on Drugs some 40 years ago, prison populations in this country have grown far faster than the population as a whole. The United States now incarcerates a higher percentage of its population than any other nation in the world, largely due to laws related to this “war”. Last week, while Congress continued its extended summer siesta, Attorney General Eric Holder announced some initiatives in the prosecution of the War on Drugs that may signal a significant shift in our criminal justice system in coming years. In addition to the fact that our prisons are holding more prisoners per capita than any other nation, our judicial system has resulted in a situation where those incarcerated are dramatically over-representative of minority groups and poor people. Increasing evidence of discriminatory prosecution and sentencing that results in longer sentences for relatively minor and non-violent crimes is being seen by many as unfair to the prisoners, costly to taxpayers and counterproductive overall in terms of reducing crime and alleviating the perceived national drug problem. Much of the legislation related to drug-related crimes appears to be discriminatory to people of color and those living in poverty, judging by the prison statistics. Inordinate numbers of racial minority group members tend to serve longer sentences for crimes which are often victimless. Strict marijuana laws are one example of this, as well as the huge disparity in sentences meted out for possession of various amounts of crack cocaine as opposed to powder cocaine. Serving prison sentences rather than receiving treatment for drug-dependence is often more costly to taxpayers and does little to alleviate the problem of recidivism once terms have been completed. Convicted felons face additional hardships in finding employment upon completion of sentences. Having more potential breadwinners in prison means more children living in one parent homes or foster care – in poverty. States which have three-strikes rules also end up sentencing people to life sentences which are obviously excessive when compared to the severity of their crimes. The proposals unveiled by Holder could mean an easing of the policies and practices which have resulted in our bloated prison population. Americans, as far as I can determine, are no more deserving of involuntary incarceration than citizens of other countries. That our laws and policies so blatantly discriminate against racial and ethnic minorities as well as those at the lower end of the socio-economic ladder is appalling. The whole nature of our current justice system serves to further exacerbate already an existing inequality of income and future opportunities for advancement among broad expanses of our society People become disenfranchised politically in many states, as well. Many felons find they still may not be able to vote despite having paid their debt to society by serving their prison terms. The whole War on Drugs has been a humongous waste of resources and lives without seeming to accomplish much of anything in terms of reducing the use of illegal drugs or the damage that dependence on them causes, both to those using them and to those affected by the users. The supplies of drugs do not seem to have dried up. Militarizing the war in countries such as Mexico and Columbia has not seemed to work. Drug cartels and gangs continue to proliferate at home and abroad, in some cases exhibiting more powerful than the governments that rule them. Prohibition of some of these drugs seems to parallel the failed prohibition of alcohol in the U.S. during part of the 20th century. Some states have begun easing restrictions on marijuana, and many have even legalized it for medicinal purposes, but they have also often found themselves at odds with a federal government which adamantly opposes any lessening of its opposition to the drug. Holder made no attempt to address the issue of marijuana legalization, but that is not his job. The laws regarding this need to be addressed by Congress before real lasting change can occur on this issue. Changes to sentencing guidelines and policies regarding how drug-related offenses are to be handled by the judicial system should ease much of the prison crowding and alleviate some of the dysfunctional nature of our current prison system. Cost-cutting measures like prison privatization will only make matters worse if trends continue. Prisons, like schools, have a social value that should not be based on how much profit they can gain some private corporation. They are meant to serve society as a whole, not merely corporate stockholders, and the wellbeing of prisoners as well as students as human beings needs to be foremost. There are currently two county judges where I live serving prison terms for taking kickbacks for sending kids to a private juvenile facility to keep it sufficiently occupied. Is it any wonder why private prison companies want more, not fewer, prisoners? We currently spend far more per person to incarcerate people in this country than to educate them. That situation should be reversed. Ruining the lives of young poor people for possessing a small quantity of a relatively harmless substance while allowing supposedly fine upstanding people to use their wealth, power and political influence to live in luxury while decimating the economy and taking away others’ livelihoods, homes and health is not how a just society operates. Turning the tide of a War on Drugs that has been a failure for decades and caused more harm than good for society as a whole would be a good start to alleviating some of the problems faced by our prison system and society as a whole. The actions proposed by the Attorney General, along with the decision last week regarding the racial profiling practiced under New York City’s Stop and Frisk policy are only a beginning. More rational and humane drug policy at federal, state and local levels are a must in order to maintain momentum. Conditions in our prisons must be improved. That can only happen if we use a more fair system for determining how to deal with acts that so many no longer feel should be illegal. As the case with marriage equality has seen great strides in the recent past, much of the drug war must become a thing of the past so that the entire nation’s prisons do not become like the California system, where judges are ordering the release of prisoners to alleviate overcrowding which has reached the level of cruel and unusual punishment. Something is wrong somewhere in the system when you can’t adequately house and care for all the people you seem to feel do not deserve to live freely. The FDA apparently approved this drug – and others like it – without testing it. The FDA just assumed if one dosage strength the drug companies submitted for approval works, then the other higher dosages work fine also. With this generic, American consumers became the FDA’s guinea pigs to see if the FDA’s assumption was right. It wasn’t. In December 2006, the first generic versions of the popular anti-depressant Wellbutrin XL were approved by the FDA. The drug comes in two dosage strengths, 150 milligrams and 300mg. The 300mg dose is generally used for patients with more severe depression and anxiety and patients who don’t respond to the lower dose. The FDA approved generic versions of both dosage strengths from a few generic drug companies: Teva Pharmaceuticals (manufactured by Impax Laboratories and marketed by Teva Pharmaceuticals), Anchen, Actavis, Watson Pharmaceuticals and Mylan Pharmaceuticals. Almost immediately, the FDA started receiving reports from patients that claimed the 300mg dose was being associated with side effects and reduced efficacy. The People’s Pharmacy, a well-known syndicated radio and newspaper columnist husband and wife team, notified the FDA that hundreds of patients had logged their own complaints of side effects with the then-recently approved generic version of Wellbutrin XL. The FDA brushed off the People’s Pharmacy and others that raised the issue, stating that they had faith that the drugs were equivalent and that perhaps the patients, who had mental disease, were more prone to perceived problems with a change in the medication than others. This was seen by many as essentially telling patients “it’s all in their head.” After several more years and public outcry, the FDA was forced to take action. Instead of doing its own study on the drug, the FDA asked the drug maker to conduct a study to determine whether the generic drug was equivalent to the brand. The FDA, in their recent press release, claims that Teva started the trial but later abandoned it because of slow patient enrollment. It was already 2010, several years after knowing there was a problem, the FDA was forced to do its own study. The statistics come from the Annual Report of the American Association of Poison Control Centers’ National Poison Data System (NPDS), and the findings go against the claims of most mainstream doctors and medical officials, who claim that pharmaceutical drugs are the only ‘science-backed’ method to ‘treating’ illness. However, the report highlights the fact that pharmaceuticals oftentimes lead to death and countless other side effects. In fact, the number of hospitalizations and side effects were not documented by the report. While the report only detailed the 3 million deaths as a result of drug use, countless other adverse health effects have been linked to popular pharmaceuticals such as cold and allergy medications. Shockingly, the average drug label contains around 70 negative side effects, though many popular brand name drugs have been found to contain 100 to 125. Some drugs even list around 525 negative effects on the label. These drugs are being prescribed by doctors to ‘treat’ patients, when the drug side effects are routinely worse than the very illness they claim to treat. These side effects are one reason that the FDA is now pulling over 500 cold and allergy drugs off of pharmacy store shelves. What the FDA is not addressing, however, are the negative effects associated with the top-selling therapeutic class pharmaceutical drug — antipsychotics. Drugs, which are prescribed to ‘treat’ suicidal thoughts and behavior, have been found to actually lead to suicide and other diseases such as diabetes. The side effects were so significant that even U.S. pediatric health advisers have begun speaking out to the media, citing the link between antipsychotics and diabetes. Previous whistleblowers exposed the link between mental health drugs and suicide after it was covered up by the makers of the drugs. Eli Lilly & Co, the makers of Prozac, ignored and hid studies as far back as the 1980s that found Prozac led to suicidal thoughts. Until Harvard Physicist Martin Teicher leaked the findings to the press, the company managed to hide the news from consumers worldwide. Pharmaceutical drugs are loaded with toxic side effects and do not eliminate the root cause of disease they claim to treat. Killing 3 million within the last 27 years, and topping traffic fatalities each year, pharmaceutical drugs are a deadly and ineffective option when it comes to combating disease. Anthony Gucciardi is a health activist and wellness researcher, whose goal is centered around educating the general public as to how they may obtain optimum health. He has authored countless articles highlighting the benefits of natural health, as well as exposing the pharmaceutical industry. Anthony is the creator of Natural Society (http://www.NaturalSociety.com), a natural health website. Anthony has been accurately interpreting national and international events for years within his numerous political articles. Anthony’s articles have been seen by millions around the world, and hosted on multiple top news websites. NaturalNews) A taxpayer-funded government task force has issued new guidelines that literally urge healthy women to take toxic cancer drugs “preventively” in order to allegedly decrease their risk of developing breast cancer. As recently promoted by The New York Times (NYT), these shocking new recommendations from the U.S. Preventive Services Task Force (USPSTF) have been issued despite a complete lack of evidence that the dangerous cancer drugs being recommended have any preventive efficacy whatsoever. Fortifying earlier recommendations from 2002 that encouraged both tamoxifen and raloxifene as so-called preventive breast cancer treatment, USPSTF now says that healthy women with either a personal or family history of breast cancer, or who are considered “high risk,” should consider taking either of the two drugs for at least five years, even though doing so could cause major side effects like blood clots or stroke. USPSTF is also now pressing doctors to being actively prescribing such drugs to their healthy female patients, and particularly those between the ages of 40 and 70. The task force says it recently evaluated a host of new data on the subject of breast cancer prevention and determined that taking either tamoxifen or raloxifene while healthy may help block estrogen, a hormone that feeds roughly 75 percent of the type of breast cancers that women today face. The group estimates that for every 1,000 healthy women who take either of the two drugs, roughly eight of them will avoid developing breast cancer in the following five years. However, as many as seven additional women per 1,000 taking tamoxifen or raloxifene will also admittedly develop blood clots during the same time frame, according to the report, while about four others per 1,000 will develop uterine cancer from the drugs. These figures represent a doubled risk of both conditions as a result of taking either of the two drugs preventively rather than doing nothing at all, which means millions of women are now at substantial health risk due to USPSTF’s recommendations. Beyond this, the very target group that USPSTF is now urging to take cancer drugs preventively is actually the least likely to derive any benefits from the “treatment.” As it turns out, the vast majority of healthy women considered to be at high risk of developing breast cancer will never develop breast cancer, according to the report. And most breast cancer cases occur in women who were never identified as being “high risk” in the first place, which makes USPSTF’s new recommendations laughable. The primary entity that will benefit from USPSTF’s obvious affront to common sense is the cancer industry, which will have the opportunity to sell its toxic cancer pills to a whole new market of healthy women that do not need them. The losers, of course, will be those gullible members of the public that fall for the ridiculous shenanigan. WASHINGTON, DC — President Barack Obama’s drug czar toed a strict line on marijuana Wednesday, saying federal laws will prevail regardless of state-level efforts to legalize cannabis. Gil Kerlikowske said enforcement of the Controlled Substances Act of 1970 — which ranks marijuana as a Schedule One drug alongside heroin, LSD and ecstasy — remains in the hands of the US Department of Justice. “No state, no executive can nullify a statute that has been passed by Congress,” the director of the White House Office of National Drug Control Policy told a National Press Club luncheon. “Let’s be clear: law enforcement officers take an oath of office to uphold federal law and they are going to continue to pursue drug traffickers and drug dealers,” he said. Voters in Colorado and Washington last November approved proposals to legalize the possession of small quantities of marijuana by individuals in their respective states. Earlier this month, a Pew Research Center opinion poll indicated that for the first time in more than four decades of polling on the issue, a majority of Americans — 52 percent — think marijuana should be legalized. Several states have approved the medical use of marijuana with a doctor’s prescription, and the first marijuana clinic in the nation’s capital, just up the street from the Capitol, is near opening its doors. New York’s Governor Andrew Cuomo is meanwhile pressing his state’s legislature to decriminalize the possession in public view of less than 15 grams of marijuana. Under US federal law, possession of marijuana is punishable by up to a year in prison and a $1,000 fine for a first offense, going up to three years and $5,000 for repeat offenses. On its website, the Office of National Drug Control Policy says marijuana has “a high potential for abuse and no currently accepted medical use in treatment in the United States” as well as a raft of health risks. Last week, the head of the US Drug Enforcement Agency, Michele Leonhart, told Congress it had seized $2.8 billion dollars in illicit drugs assets and profits, including some $750 million in cash. Kerlikowske said the legalization of marijuana in Colorado and Washington presented “a complex set of questions” to health professionals, school administrators, elected officials and law enforcement officers. The former police chief of Seattle, Washington acknowledged that the drug debate in the United States is “extremely polarized” between those favoring wholesale legalization and those who prefer an iron-fisted crackdown. “Neither of these extreme positions presents a 21st-century approach,” said Kerlikowske. Legislation, the Respect State Marijuana Laws Act, has been introduced in Congress that would end the enforcement of federal marijuana laws in states that have either legalized it or adopted medical marijuana laws. Here’s an outrage that must be changed: Big Pharma has been systematically price-gouging the Medicare program for seniors and people with disabilities — and raking in billions in excessive profits. The 11 largest global drug companies made an astonishing $711 billion in profits over the 10 years ending in 2012, and they got a turbo-charged boost when the Medicare Part D prescription drug program started in 2006, according to an analysis of corporate filings by Health Care for America Now (HCAN). The drug companies hold the power to charge America’s consumers whatever they want. Worse, Medicare — the nation’s largest purchaser of drugs — is prohibited by law from seeking better prices. The result of this shortsighted policy is dramatic. In 2006, the first year of Medicare’s prescription drug program, the combined profits of the largest drug companies soared 34 percent to $76.3 billion. And unlike other industries, such as Big Oil, drug companies get something even better than a tax subsidy — they get a government program. There is nothing wrong with a company making profits — that’s what they’re supposed to do. But the drug industry’s profits are excessive as a result of overcharging American consumers and taxpayers. We pay significantly more than any other country for the exact same drugs. Per capita drug spending in the U.S. is about 40 percent higher than in Canada, 75 percent greater than in Japan and nearly triple the amount spent in Denmark. HCAN reviewed the last decade’s financial filings from the 11 prescription drug giants: Pfizer, Johnson & Johnson, Novartis, Merck, Roche, Sanofi-Aventis, GlaxoSmithKline, Abbott Laboratories, AstraZeneca, Eli Lilly and Bristol-Myers Squibb. Even as millions of Americans struggle to afford their medicines and as Republicans in Congress threaten to cut seniors’ benefits, these corporate behemoths have extracted $711.4 billion in profits for Wall Street investors. The drug companies’ annual profits reached $83.9 billion in 2012, a 62 percent jump from 2003. The drug companies, of course, say they have no choice and need to charge outrageous prices to pay for research that enables them to innovate and develop new drugs that save our lives. But that’s not true. Half of the scientifically innovative drugs approved in the U.S. from 1998 to 2007 resulted from research at universities and biotech firms, not big drug companies. And despite their rhetoric, drug companies spend 19 times more on marketing than on research and development. There are two reasons why it matters that the drug industry is booking eye-popping profits. First, American consumers and taxpayers are footing the bill, and second, we could do something about it. It’s against federal law for Medicare, the nation’s biggest health plan, to use its unparalleled market power to reduce the cost of prescription drugs. This makes no sense. If the policy were changed, taxpayers and consumers would save huge amounts of money. Simply empowering Medicare to get the same bulk purchasing discounts on prescription drugs as state Medicaid programs would save the federal government $137 billion over 10 years, according to the Congressional Budget Office. Eliminating price-gouging on that scale would go a long way toward addressing the fiscal challenges that are constantly under discussion in Washington — without harming seniors and middle-class families. This proposal has been supported by President Obama and is in the House Democrats’ budget plan. It is reportedly in the president’s 2014 budget plan as well. Our politicians give all kinds of tax breaks and subsidies to big corporations that don’t need them: Big Oil. Wall Street. Companies that ship our jobs overseas. Every gift to a special interest, including allowing Big Pharma to overcharge Medicare, is an expenditure of scarce tax dollars. That’s called wasteful spending.